In 1996, the Native American Rights Fund along with co-counsel initiated a lawsuit on behalf of Elouise Cobell and a class of plaintiffs. A settlement agreement with the federal government was finally reached in 2009. Director Melinda Janko has captured the endless legal battle and the frustrating bureaucratic red tape, but also the human elements of the story in her documentary, 100 Years: One woman’s fight for justice. See the film Tuesday, March 13 @ 8/7c on the World Channel. When Elouise Cobell, a petite Blackfeet warrior from Montana, started asking questions about missing money from government managed Indian Trust accounts, she never imagined that one day she would be taking on the world’s most powerful government. But what she discovered as the treasurer of her tribe was a trail of fraud and corruption leading all the way from Montana to Washington DC. 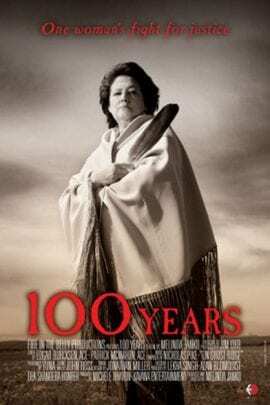 “100 Years” is the story of her 30-year fight for justice for 300,000 Native Americans whose mineral rich lands were grossly mismanaged by the United States government. 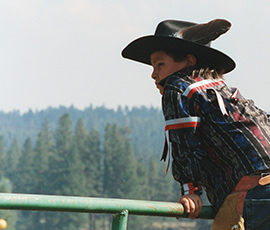 In 1996, Cobell filed the largest class action lawsuit ever filed against the federal government. For fifteen long years, and through three Presidential administrations, Elouise Cobell’s unrelenting spirit never quit. This is the compelling true story of how she prevailed.